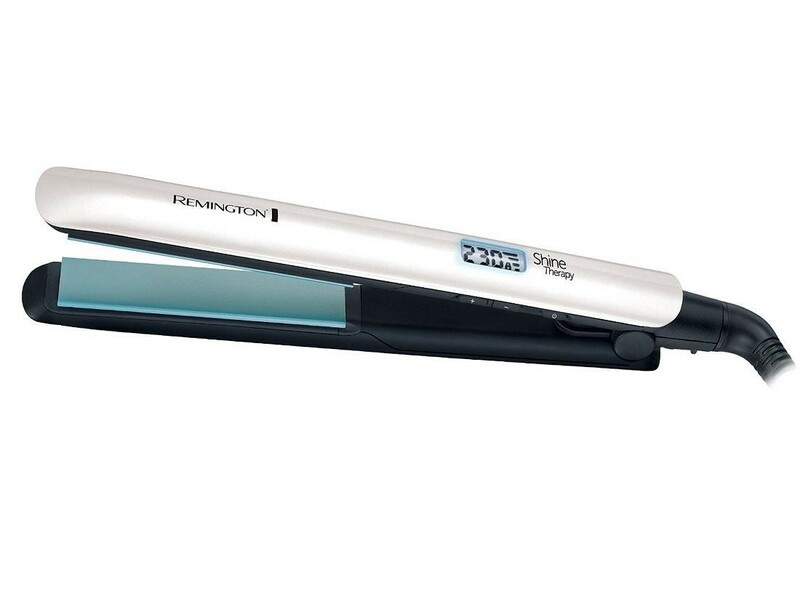 The Remington S8500 Hair Straightener Moroccan Oil Shine Therapy Digital Display is the perfect device for styling your hair for that big night out. The ceramic plates are infused with Moroccan Argan Oil to give your hair that stunning shine while the Vitamin E conditions and moisturises. The 9 different temperature settings enable you to choose the ideal one for your hair and the digital display clearly shows which setting you're on. The floating plates ensure even pressure for professional results and the straighteners heat up in around 15 seconds which allows you to start quickly which is great for a morning touch up.